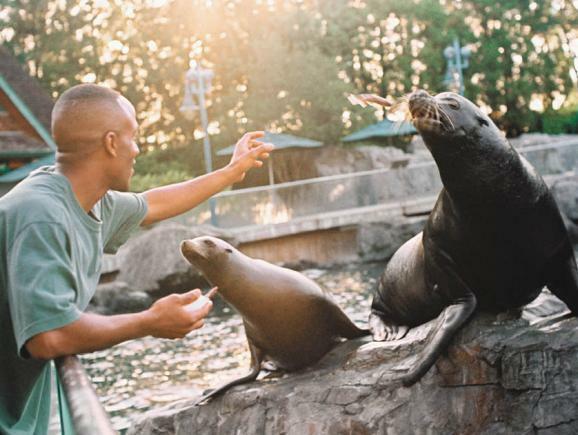 There's no place in the world, on land or at sea, like SeaWorld® Orlando! 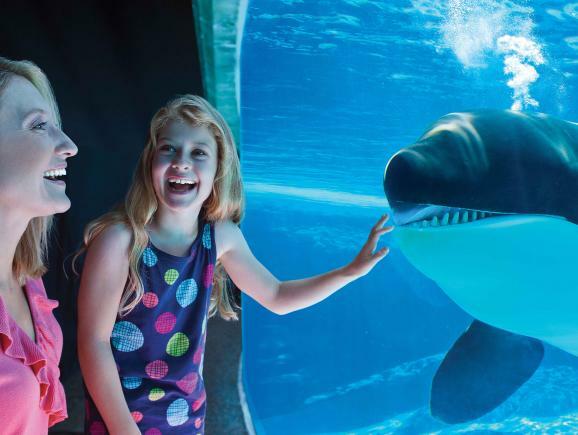 Touch beautiful dolphins, count the teeth in the mouth of a mighty shark and come nose-to-nose with magnificent beluga whales! Brave monstrous rollercoasters and just attempt to remain dry when the world famous Shamu decides to jump! 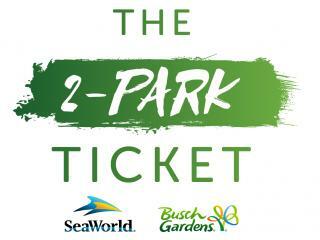 With SeaWorld tickets, the excitement is endless! 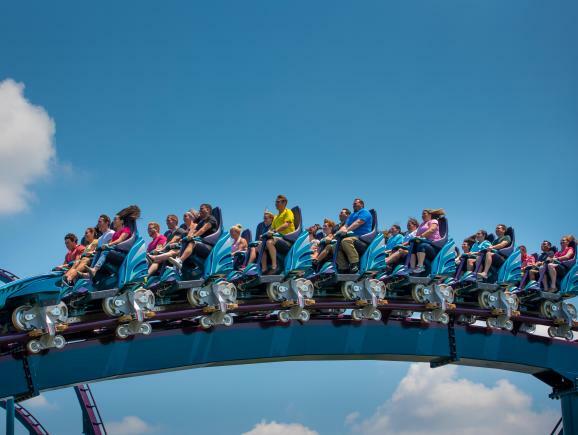 Mako, the 200-foot-tall hypercoaster reaches speeds of up to 73 mph leaving riders feeling both breathless and weightless. 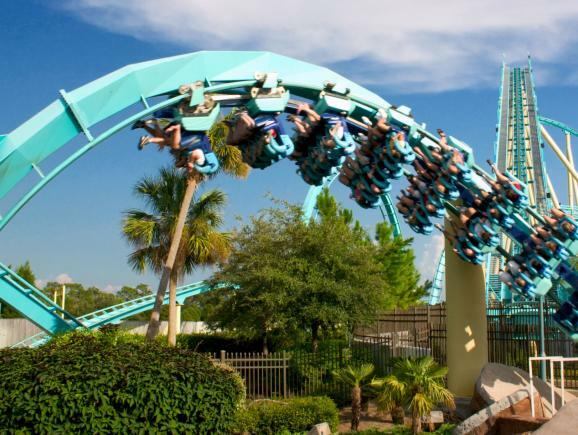 The tallest, fastest and longest coaster in Orlando will become one of the world’s few true hypercoasters, a group of roller coasters known for high speeds and steep drops and hills that create a feeling of weightlessness. SeaWorld’s new hypercoaster will be the centrepiece of a newly themed area surrounding it. The two-acre plaza soon will be fully shark themed including Mako, Shark Encounter, Sharks Underwater Grill, shops, shark and shipwreck theming and educational experiences featuring sharks. 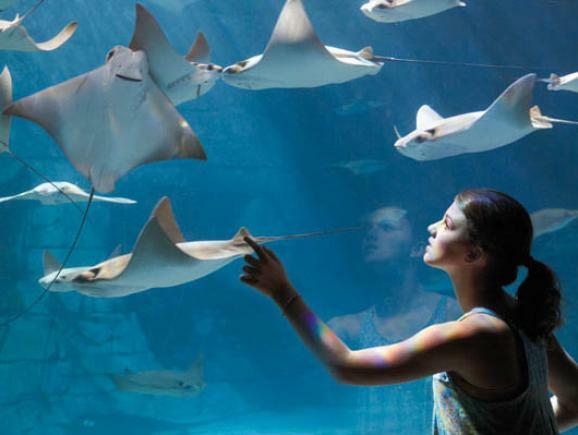 TurtleTrek® offers nose-to-nose animal encounters and state-of-the-art entertainment! 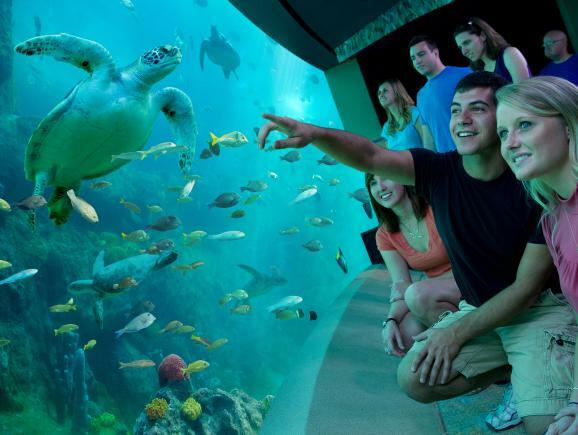 Get up-close to the sea turtle and manatess at two extensive habitats then experience the plight of the sea turtle and the incredible life journey they take in the world’s first 3-D, 360-degree movie in a domed theatre. 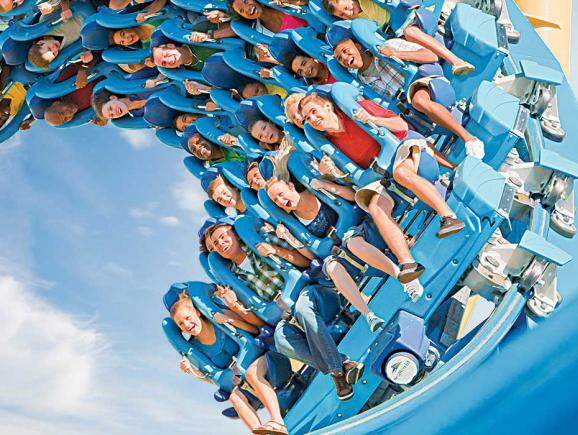 Discover the world of Manta® and fly face-down through sea and sky. 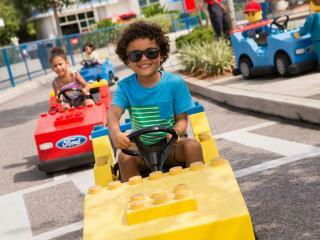 The next generation of SeaWorld thrills in a mega-attraction that combines up-close animal encounters with an innovative flying coaster. Kraken Unleashed: Virtual Reality Experience - one of the fiercest underwater legends has come to life in an entirely new way. 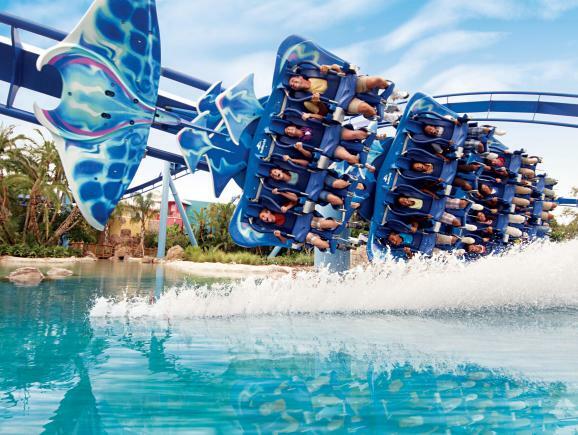 SeaWorld Orlando’s original roller coaster offers an adventure for thrill-seeking guests unlike any other. Don a virtual reality headset and prepare to embark on a deep sea mission alongside sea creatures inspired by extinct and legendary animals of the past, including the mighty Kraken. You may have imagined what this mythological brute looks like but soon you'll come face-to-face with him and others as you enter their world...deep, deep under the sea. 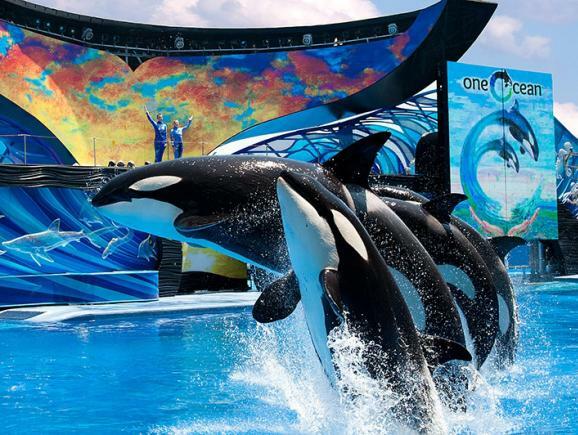 Dive into One Ocean®, the energetic and exciting Shamu® show, set to inspire and educate. Dancing fountains set the stage as you connect with these remarkable animals and learn about the importance of protecting the ocean, and the sea creatures within it. 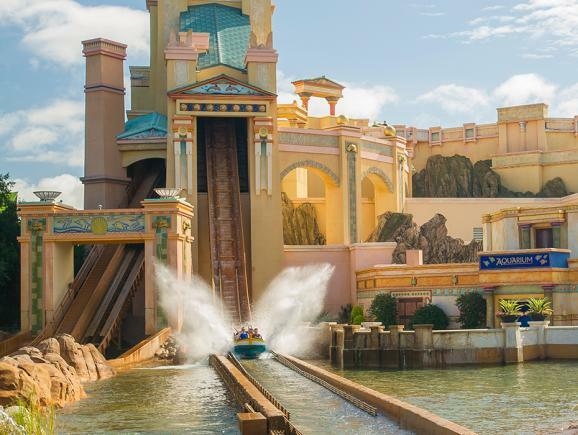 Do you dare to challenge Journey to Atlantis®, where you'll be tossed about and dropped by mystical unseen forces? 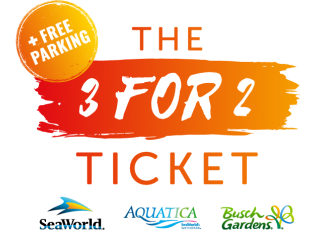 This unique water coaster thrill ride themed on the great lost city of Atlantis combines serpentine twists, incredible special effects and two of the fastest, wettest drops in the world! Brace yourself for the frozen north on a jetcopter ride into the Wild Arctic®! Witness the dramatic sight of a surfacing beluga whale and guess the length of a walrus' tusks! All of this and more are part of the breath-taking adventure of a polar expedition available with your SeaWorld tickets. Thankfully, all that is missing is the frostbite! Dolphin Cove® is a 2.1 acre centrepiece habitat providing home for a community of gorgeous Atlantic bottlenose dolphins. 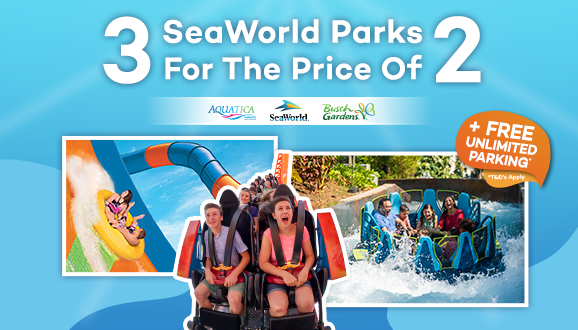 Featuring 2 foot-high breaking waves, a natural sandy beach, spectacular underwater viewing facilities and an uncannily realistic coral reef, Dolphin Cove® is the most innovative dolphin habitat anywhere in the world, where guests can encounter these extraordinary animals closer than ever before. At Antarctica: Empire of the Penguin® visitors feel the majestic grandeur of the South Pole and see it through the eyes of a penguin on an exhilarating, first-of-its-kind family ride. Also explore a massive penguin colony, including King, Gentoo, Adelie and Rockhopper, in an expanse that envelops them in cool extremes, both above and below the penguins’ icy world. Never has there been a theme park so cold – until now. 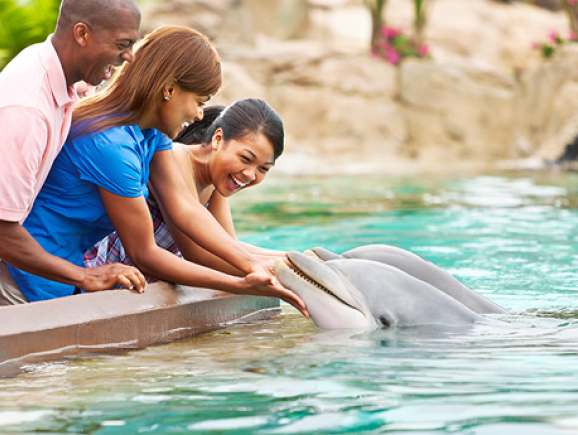 Dolphin Days, an all-new dolphin show that will educate and delight guests of all ages. Coming Summer 2018, Inifinity Falls - Climb aboard your raft and unearth the secrets of this lost rainforest river. Hold on tight! 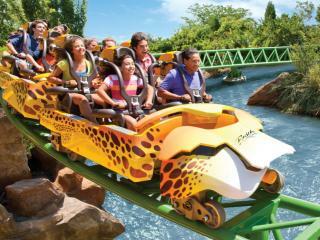 The roaring rapids look like they might just send you flying over that huge drop! 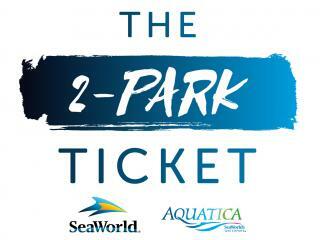 All of this and so much more with your SeaWorld tickets at SeaWorld Orlando - the world's best loved marine park! 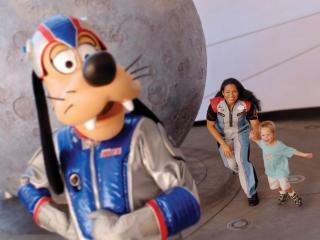 Are you brave enough to embark on an expedition through Infinity Falls? Explore the base camp set up by those who first made the discovery, and then climb aboard your raft and unearth the secrets of this lost rainforest river. Keep your wits about you as you pass drenching fountains and waterfalls. Hold on tight! The roaring rapids look like they might just send you flying over that huge drop! 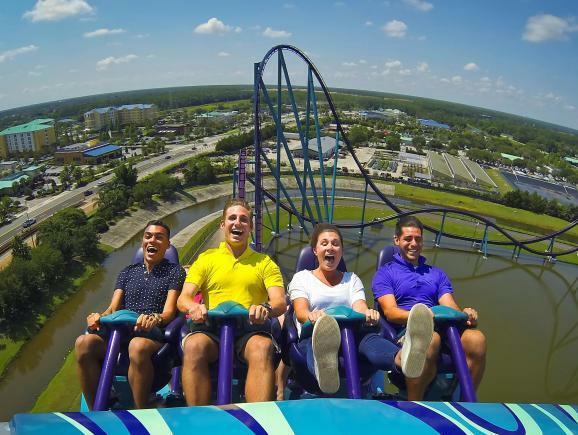 Mako, a 200-foot-tall hypercoaster that reaches speeds of up to 73 mph along 4,760 feet of steel track — nearly a mile long — leaving riders feeling both breathless and weightless. 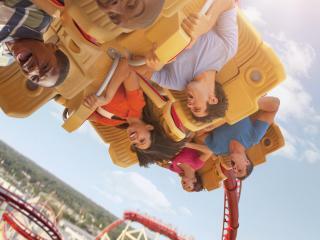 It's the tallest, fastest and longest coaster in Orlando! Dolphin Cove is a 2.1-acre centrepiece, home to a large community of Atlantic bottlenose dolphins. With crashing two-foot-high waves, a sandy beach, a spectacular underwater viewing area and a naturalistic coral reef. Get to know the most engaging, intelligent creatures in just about the largest interactive dolphin habitat anywhere. Antarctica: Empire of the Penguin transports families into a rarely seen, icy world. Feel the majestic grandeur of the South Pole and see it through the eyes of a penguin on an exhilarating, first-of-its-kind family ride. Also explore a massive penguin colony, including King, Gentoo, Adelie and Rockhopper, in an expanse that envelops them in cool extremes, both above and below the penguins’ icy world.